Type Tasting created an interactive installation and workshops in the Designing for Health Pop-up Studio to accompany the Can Graphic Design Save Your Life? exhibition. The Wellcome Collection is a museum and library exploring health, life and our place in the world, described as a destination for the incurably curious. This is an ongoing mass experiment to diagnose the symptoms of different typefaces. 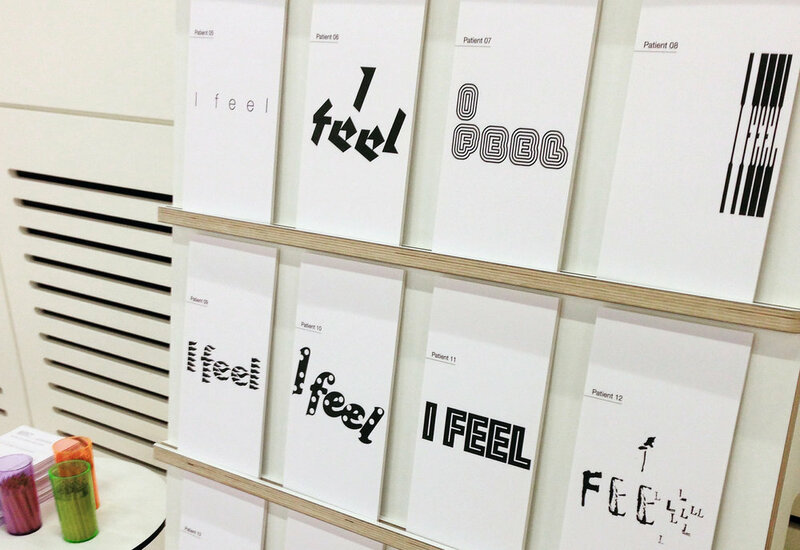 Participants are presented with a selection of typefaces and asked to respond to them viscerally instead of intellectually: what might they convey about how a person feels, do they feel well or ill, now severe are the symptoms, and what might they prescribe as a treatment? This activity is intended to gather information about the expressive qualities of visual language, but also to prompt a thought-provoking and entertaining conversation. 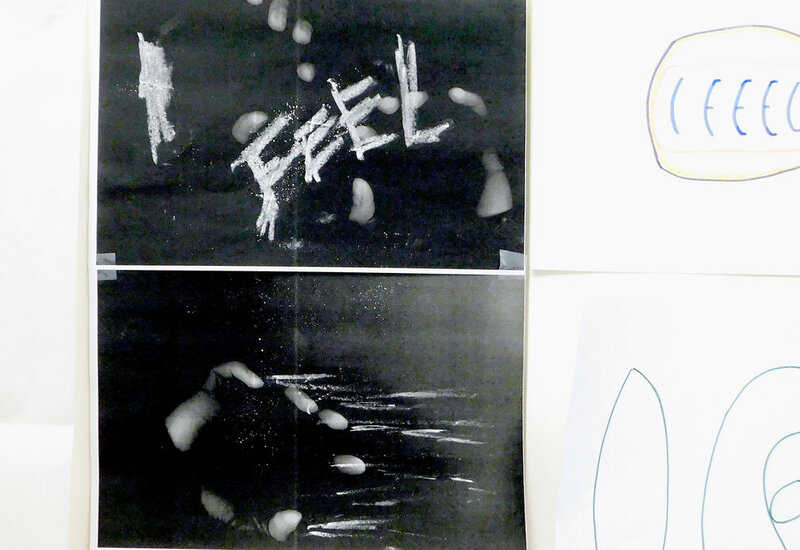 Participants experiment with letter-forms to create before-and-after designs that represent feeling ill versus feeling well in this creative workshop. One workshops was co-hosted by a BSL interpreter, giving everybody the opportunity to explore another facet of type/lettering—as a visual representation of the voice. Workshop participants roll up their sleeves to explore how typography and letter-forms can be used to communicate physical experiences. Ultimately, using typography expressively could lead to more emotive information design solutions, and potentially engage conversations across language barriers. Typography is a fundamental building block of graphic design. It can be purely informative, or it can be used expressively as the style of the letter-forms themselves can communicate a great deal of information independently of the words they are spelling out.